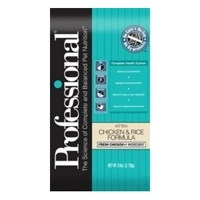 Diamond Professional Chicken & Rice Kitten 6/6 Lb. Professional's Complete Health System provides your kitten and pregnant or nursing queen with optimal nutrition for optimal health. This formula is enhanced with DHA for optimal brain and vision development, antioxidants to protect your kitten's overall health, fresh chicken for great taste, fatty acids for healthy skin and coat and many other features to help your kitten grow into a happy, healthy adult. 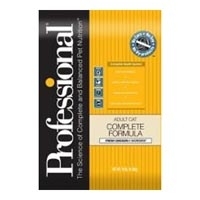 Diamond Professional Complete Cat 6/6 Lb. and 18 Lb. Professional's Complete Health System provides your adult cat with optimal nutrition for optimal health. This formula is enhanced with dried chicory root, powdered cellulose and fatty acids to help control hairballs, antioxidants to protect your adult cat's overall health, fresh chicken for great taste, L-Carnitine for healthy lean body condition and many other features to help your adult cat live a happy, healthy life. 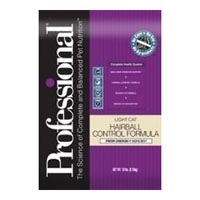 Diamond Professional Light Cat with Hairball Control 6/6 Lb. and 18 Lb. 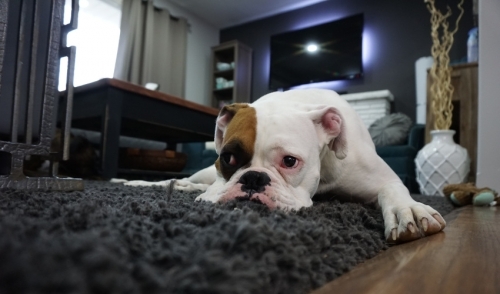 Professional Light Cat Hairball Control Formula Dry Cat Food is a complete Health System that provides your overweight adult cat with optimal nutrition for optimal health.